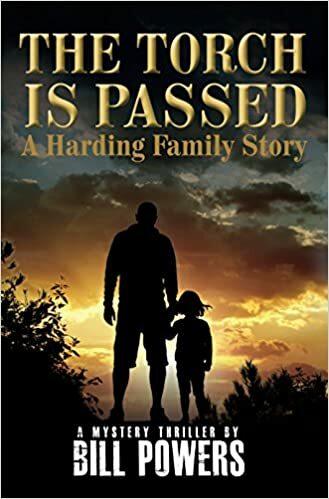 First there was ThePharm House, Finalist in the Medical Thriller category of the 2014 National Indie Excellence Awards, where readers met Nicholas Harding and his daughter, Andrea. Now comes the second Harding Family story. In the exciting new thriller, The Torch is Passed, Andrea has just graduated college and her world is turned upside down when her father, Nicholas, and her uncle, Michael, are shot in a surprising and puzzling attack. As the only family other than her paternal grandmother, it falls to Andrea to not only investigate who would want to kill her father and uncle, but also to oversee Harding Industries. The youngest Harding soon finds herself surrounded by a bevyof intriguing new friends and helpers after she is also violently attacked. Suspicion is cast on a short listof family friends and colleagues, including Don Marshall, with a shady past including an incident that also involved Andrea's father. Then there is MarcusRicci, widely believed to have ties to the New Jersey mob. Also on the suspectlist are the Oakes brothers, Carlton and Jefferson, who run Oakes Industries along with their silent partner and cousin, New Jersey state senator Schuyler Colfax. They recently made a seemingly irrational attempt to purchase Harding Industries and were rebuffed by Nicholas. Along with her new allies, including an abrasive, but loyal,attorney and an eccentric southerner with more money than God and an intriguing background in international espionage, Andrea urgently seeks answers why anyone would want to kill her entire family-- grows up along the way and seeks her revenge. I am one of those odd balls who loves train travel. I was recently reminded how much I love traveling by train a few weeks ago when stranded at an airport for four hours by one of the worst airlines on Earth (fill in the blank with airline of your choice). About a year ago, I discovered the new Pullman Rail Journey that now runs between Chicago and New Orleans. It’s scheduled to add a New York to Chicago run later, and when it does, I plan to give it a try. For family vacation last year, we spent a week in Montreal. I persuaded everyone (three of us) to take the train. We had never taken a family train trip. The Adirondack leaves New York Penn Station at 8:15 am with a scheduled arrival in Montreal of 7:11 pm. I have been in train stations all over the U.S. and Europe and with New York Penn Station, let’s just say there is a lot of room for improvement. There are 19 scheduled stops in places like Poughkeepsie, Hudson, Schenectady, Saratoga Springs, Ticonderoga, and Port Henry and the train glides smoothly past the beautiful Lake Champlain. The Adirondack crew was very nice and helpful. The service is all coach class, and I admit, I would have preferred a first class option, but I guess there is not enough demand for that. The food service is mediocre, but beats what you’ll find on domestic airlines. If you’re the kind of person who enjoys a relaxing, slow, and scenic pace once in a while, you will enjoy the Adirondack New York to Montreal run. I said that there were three in our party. Two of the three enjoyed the ride and one was the impatient, “are we there yet” one. We’ll ship her Air-Express next time. Whenever I have to go from New Jersey to Washington, D.C., rather than drive or fly, I always take Amtrak. A couple of summers ago, I took an Amtrak sleeper train from New Jersey to Raleigh, NC, to get a feel for a long train ride, which I had planned to include in my next novel. In The Torch is Passed, which is a continuation of the Nicholas Harding story, I introduced a new character, Deirdre Southington, who is quite eccentric with her preferred mode of travel being by train—in her private rail car, the Liburnia. In my research for the Liburnia, I learned that there is a small group of people in the United States who own private rail cars and travel this way. By lease arrangements, they hook onto a freight or Amtrak train and travel all over the United States. Sounds pretty relaxing and like loads of fun, doesn’t it? Bill Powers worked in pharmaceutical Research & Development (Johnson & Johnson) for 26 years, rising to the position of Vice President of Global Preclinical Development. Bill has a Ph.D. in Toxicology from the University of Cincinnati and is a Diplomate of the American Board of Toxicology. A loving couple, grieving the loss of their son, finds their marriage in free fall when a beautiful, long-lost acquaintance inserts herself into their lives. Kat and Scott Hamilton are dealing with the hardest of losses: the death of their only child. While Scott throws himself back into his law practice in Los Angeles, Kat is hesitant to rejoin the workplace and instead spends her days shell-shocked and confused, unable to focus. When an unwelcome face from Kat’s past in England emerges―the beautiful and imposing Sarah Cherrington―Kat’s marriage is thrown into a tailspin. Now wealthy beyond anything she could have imagined as a girl, Sarah appears to have everything she could need or want. But Sarah has an agenda and she wants one more thing. Soon Kat and Scott are caught up in her devious games and power plays. Against the backdrops of Southern California and Sussex, in spare and haunting prose, Mary McCluskey propels this domestic drama to its chilling conclusion. What are your literary influences and what have they taught you as a writer? I am interpreting influences here as meaning writers I love. I can’t say that I write like them – though oh, I wish I could – but for me: Joan Didion, Margaret Atwood and Amy Hempel. They’re very different stylists but they do have one thing in common: clarity. No curlicues or flounces for these writers. Didion first: I came to Joan Didion through her essays and they are brilliant- my own read and re-read essay collection is The White Album - but her novels are excellent, too. Play it as it Lays is one of my all time favourite reads. The lesson from Didion: cut, cut, edit, delete. Write with a razor. Didion’s writing shows that clarity does not mean losing depth, that dialogue says more in fewer words, that a lot happens in silences. Margaret Atwood – such story telling. What other writer can tell great stories in such a variety of different narrative forms? From the incisive character studies and psychological depth of Cat’s Eye, the wisdom of the amazingly prescient The Handmaids Tale, to the breathtaking imagination of her science fiction. I’m in awe of the range of this writer. A lesson learned from Atwood – take chances. Tell a story in a different way, play with it, have fun with it. Atwood’s joy in the process of writing (I hope this is true) comes through in everything she writes. Amy Hempel: When I was struggling with my own short stories I read Amy Hempel’s "In the Cemetery Where Al Jolson Is Buried" and almost gave up. I thought it the perfect short story. There are a number of excellent short story writers publishing today– not forgetting Alice Munro, of course – but Hempel has the edge for me. The lesson learnt? Understand your characters, care about them. 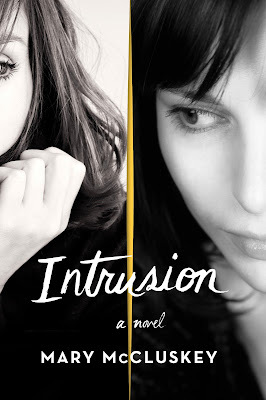 An unconventional narrative and an offbeat storyline can work if the characters are believable. All three of these writers have given me great pleasure over the years. I’m grateful to them! Florrie Buckley is an orphan, living on the wind-blasted moors of Cornwall. It's a hard existence but Florrie is content; she runs wild in the mysterious landscape. She thinks her destiny is set in stone. But when Florrie is fifteen, she inherits a never-imagined secret. She is related to a wealthy and notorious London family, the Graces. Overnight, Florrie's life changes and she moves from country to city, from poverty to wealth. Cut off from everyone she has ever known, Florrie struggles to learn the rules of this strange new world. And then she must try to fathom her destructive pull towards the enigmatic and troubled Turlington Grace, a man with many dark secrets of his own. led her into the dance. circumspect young ladies – and sending them flying. helping his daughter to her feet. mirth. I grinned, then looked away. a number of ladies. It seemed hardly fair. 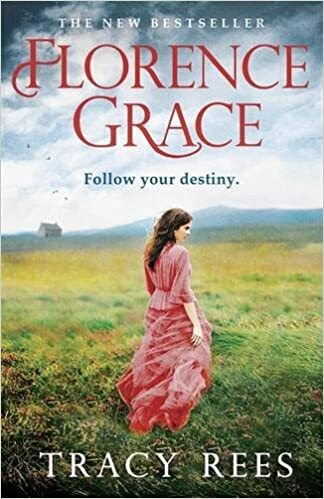 Win a copy of Florence Grace. Open to UK and Ireland only. 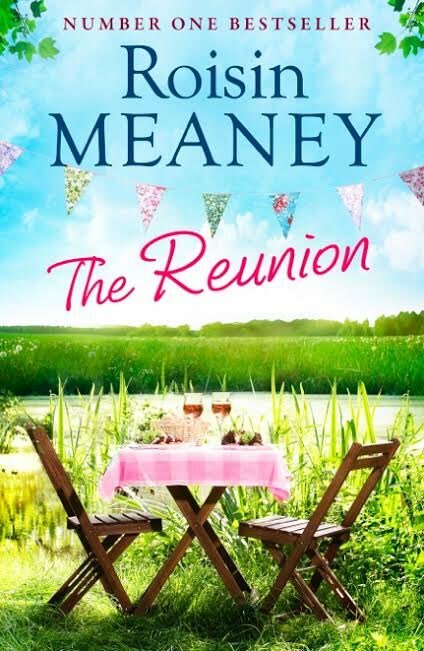 The Reunion is a moving story about secrets, sisters and finding a way to open your heart. It’s not that I have anything against reunions. On the contrary, I love the idea of them. Revisiting the past, meeting up again with people who were once part of my daily life, discovering what paths they’d taken, how their lives had panned out, would be fascinating – and of course, as a writer I’m well aware how daft it is to be rejecting occasions that would surely provide fodder for half a dozen novels – but since I left college (aeons ago) every reunion invitation I’ve received from there has ended up in my recycling bin, and I’ve similarly resisted all attempts to get me to reconnect with school friends from further back. The problem, ridiculous as it may sound, is my abysmal memory. At the end of any given day I can hardly call to mind what I had for breakfast, or what the weather was like when I pulled apart my bedroom curtains a mere handful of hours before. Now imagine me walking into a roomful of people I haven’t seen for some considerable time; imagine the embarrassment of having to ask the name of everyone I meet, the anxiety of trying frantically to recall the tiniest detail of our previous relationships, the stress involved in the whole sorry scenario. And here’s the thing: you can bet they’d all remember me. I’m not sure that it’s a good or a bad thing that anyone I bump into from my younger days, even my far younger days, has no trouble identifying me, but invariably I draw a blank with them, and have to bluff along as best I can, hoping to God I’ll get through the conversation without having to admit, not only that his or her name has escaped me, but that I’ve also forgotten every other detail of their identity. Sometimes I get away with it, more often than not I don’t. You can see why I run a mile from reunions. My mother is the complete opposite. Even at eighty-seven her memory is as reliable as the downpour that happens on your way home from the hairdresser: she remembers people from her childhood as clearly as those she met yesterday. A few years ago she attended her fifty-year college reunion, and came home on a high from meeting women she’d last encountered when colour television was still a twinkle in RTE’s eye – and you can bet your life she wasn’t stuck for a name all night. So why, given my reunion phobia, did I choose it as the theme for my new novel? That came about, in fact, as a result of a conversation I had last year, at the only reunion I can remember attending (but given the memory problem, I may well have been to many more). The occasion was the twenty-fifth year in existence of the school in which I’d spent the final eleven years of my teaching career. Everyone who’d had any association with the school was invited to return and celebrate its silver anniversary, and since I still lived in the vicinity and often encountered my former colleagues (whom I generally managed to remember, miraculously) I figured my name would be mud if I didn’t put in an appearance. On the appointed day I headed for the school, bracing myself every step of the way for the mortification that surely awaited me. Astonishingly, the evening was nowhere near as fraught as I’d anticipated. I actually managed to remember more names than I forgot, so only about half my time was spent apologising. Among the assembled were scores of past pupils whom I felt fine about not recognising, given that the now teenagers had been youngsters of four or five when I’d last had any dealings with them – and by and large the parents of these youths had for some reason attached themselves to what fragments of my crumbling memory they could find, so I survived the night with much of my dignity intact. 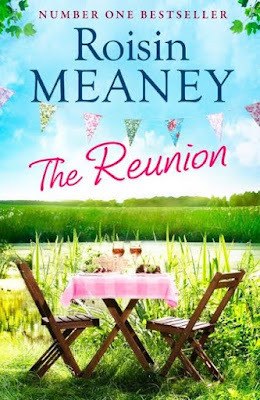 At one stage I was in conversation with a mother of one of my old students, and she remarked that a reunion would make a good theme for a novel – and after tossing the notion around in my head for a minute I had to agree. Lots of scope for character development, a nice natural split in the narrative between then and now, plenty of room for plot twists as I guided the story from past to present. And that night, even though I was still working on a previous book, the decision was made to go the reunion route with the next. And you know what? For the eight months or so I spent on the first draft, I found my attitude towards reunions in general beginning to change. As I wrote, I felt myself becoming more open to the idea of meeting up with people from my past. So what if I had to admit to memory lapses? Wouldn’t the embarrassment be worth it to find out what had become of that girl from secondary school, the one with the red hair who came top in every subject but who hadn’t a single friend in the class? And wouldn’t it be interesting to see who’d emigrated, who’d never married (hello), who’d achieved success or suffered heartbreak along the way – or indeed, to find out who hadn’t made it this far? So the next time I get a reunion invite, I’m thinking of saying yes instead of no. Must remember to bring my notebook with me – no way will I remember all the stories the next day.